Books are being replaced. With the introduction of the smartphone, it was inevitable that soon we shall come to the age of paperless technology. Today mails, memos and even phone number directory is nothing more than an application on our smartphones. Predictively, books too. Now we have classics like ‘War and Peace’, ‘Anne of the Green Gables’ and even ‘Kurt Vonnegut’s Cat’s Cradle’ as an E-Book ready to read with the click of a button. How can this app not be number one on the list? Probably the most user friendly and pocket friendly app, Kindle has earned fame enough to be considered as a synonym for EBook reading. A no frills application, it tempts you with suggestions for the next book. On Windows, changing its Font size or Color is easily doable. While Kindle come as a separate Hardware from Amazon, it is compatible on your home PC with Windows 8 and beyond in Desktop Mode. A Revolutionary application, Sumatra is portable. Meaning, you can transfer it onto your hard disk and then carry it with you. It helps in E-reading as it has a compatibility to read EPUB and MOBI format. It also reads comic books in CBZ and CBR file format. It is compatible with Windows XP and all the later versions. Offering all the options of a classic PDF reader, Sorax jumps up a notch on our list as it offers the option to Email the entire book! It’s easy interface helps us to adjust the settings as per our convenience. It also offers Eastern Asian Languages which make it very consumer friendly. Compatible with Windows version NT and above. From Archie’s Comics to Japanese Manga, Cover makes it easy for us to read and enjoy Archie’s shenanigans to Naruto’s awesomeness. Displaying images in CBZ/ZIP, CBR/RAR, 7Z/CB7, CBT, PDF, EPUB format, Cover is ideal for comic reading. Cover does offer a Paid version but that feature only unlocks all your devices to access cover. Compatible with Windows 8.1 and above. There is potential in Freda to take away the crown from Kindle as the best E-Book Reader. Freda is a free software that runs on ad funding. It is so discreet that it does not disturb you as you read. Offering Read the Text option it helps people who rather listen to the book. Includes dyslexic-friendly settings (and the Open Dyslexic font), to assist reading for people affected by Dyslexia. Compatible on Windows 8.1 and above. A totally free software, Calibre accesses Magazines and News for your comfort. It also helps read all file formats and even allows the download of your Kindle file formats. Easily compatible with Windows Vista 7, 8, 10. Probably the most famous and commonly used Comic reader, it reads .cbr file, .cbz, .pdf, formats including others and even Manga. Compatible with Windows on 32 and 64 Bits. Reads thousands of books from open publications like Glutenberg, Flibusta, FeedBooks and others. Helps sort books into categories and even flips from day reading and night reading depending on our comfort. Compatible with Windows 8 and above. 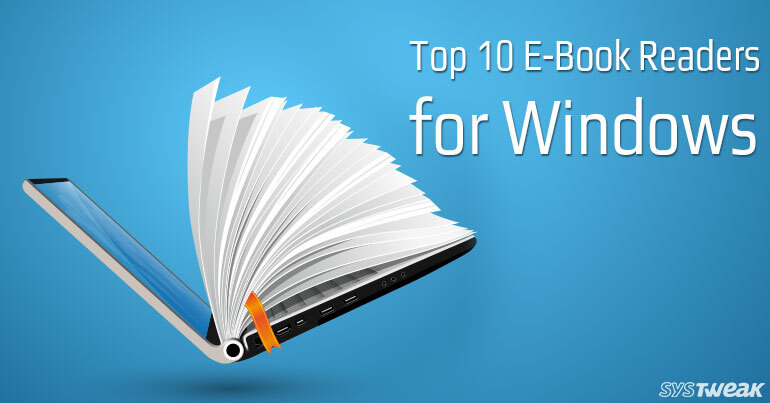 As a 4 MB easy portable software, Cool PDF Reader gets our tick to be on this list. with a very basic interface, it works best for senior readers who do not want any added features and just focus on book reading. It is compatible on Windows 10, 8.1, 8, 7, Windows Vista, XP, 2000, and above. Our last name on the list offers more than just book reading. It helps create content and Seo Writing and posting them live. Giving options like banner links and Collections to help sort files, PaperTrell is a professional software for aspiring writers and readers. Compatible on Windows with 8 and above. There you have it. The above mentioned cover an entire spectrum of E-Books Reading Software. Do you agree with us? Drop us a line and let us know your opinions on the same. Happy Reading!